[Patreon-Nov16-Post-Bug][/Patreon-Nov16-Post-Bug]I do this thing where a band floats around on the periphery of my world for many years until, finally, one of their later singles becomes my touchtone and doorway back through their catalog. I did it with Ani DiFranco, with Tori Amos, with Radiohead, and in 1997 I unknowingly did it with The Indigo Girls – it just took another five years for me to really feel the impact. 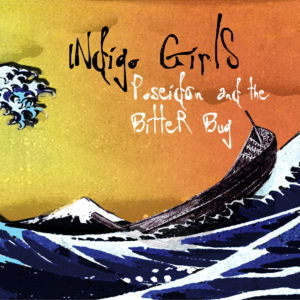 I had heard of the Indigo Girls before, in passing. My friends sang “Closer to Fine” in a talent show and I had to have heard “Least Complicated” at some point to explain my later familiarity with it. Yet, it was “Shame On You” that clicked in my adolescent brain in the fleeting years of when alternative rock radio that would still play an acoustic song by a female singer. Despite hitting all the right Lilith Fair influences to make me love it, the song resonated with teenaged me on another level because it was one of the few songs on the radio at the time aside from Rage Against The Machine that was making a statement about anything. The song starts with Ray relating the story of her friends the window washers. This was a different sort of blue collar nod than you’d expect to hear in a Springsteen tune. Ray wasn’t saying she was an every-woman, or bemoaning the plight of an underclass. She says “my friends” as she introduces these people who hang from the sides of tall buildings while she’s on the road as a rock star. Her friends want her to appreciate their windows like they appreciates her music. She wants to take off her shoes with them and head down to the river, where they’re all the same and they can hear the water burble “shame on you” as their sins wash past downstream. She has now identified herself, the narrator, as an outsider to all of the beauty that she witnesses. Is that patronizing or is it acceptance and affection for the other? I was particularly struck at the the time at the gently accusatory way she says, “the white folks like to pretend.” Isn’t she a white folk, too? Or, maybe that’s only a label for those pretenders, and everyone else are just people. And who is now admonishing “shame on you”? Is it the white folks, clucking at the Chicano culture? Or, the Chicano clucking in response that the white folks refuse to enjoy it even when it puts a smile on their face. Wow. Had I heard anyone on the radio before so casually state their attraction to someone of the same gender? Who’s the shame on now? Ray for being attracted to them, or Ray for never knowing what to say? That’s why I am so convinced this song isn’t punching down, not even punching up at the white folks. It’s not about punching. It’s about dancing, and finding those shared little moments of humanity with people who aren’t like you in the slightest. It’s about the shame in not admitting how much you just want to kick off your shoes and dance along. That line has always stuck with me, and it has never before felt so relevant as it has this year. Or this past week. How can you turn your nose up and close your doors completely to the immigrants who want to forge a life in America when that’s how all of us got here … except for our indigenous people, to whom we all owe a debt that we can’t ever repay for destroying their land, their people, and their culture? Who are we to want to build a wall between us and Mexico when they have an actual, persistent culture to bring into our melting pot of customs imported from afar? 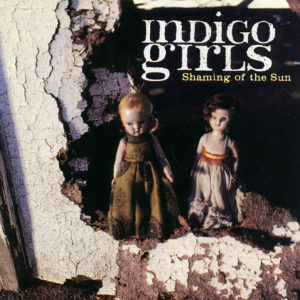 I wasn’t ready to really love The Indigo Girls until I borrowed their older CDs from my first boss, Laura, back in 2003, but as soon as I heard those records I realized that I already loved this band, and I probably always will.